This kitchen cutting board is highly resistant and very useful to cut and chop ingredients quickly and comfortably. 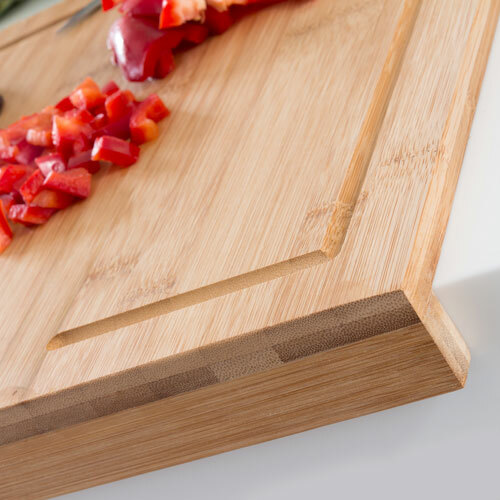 The bamboo chopping board is easy to clean and a perfect accessory for any kitchen. You can use it to cut and chop vegetables, meat, cheeses, etc. 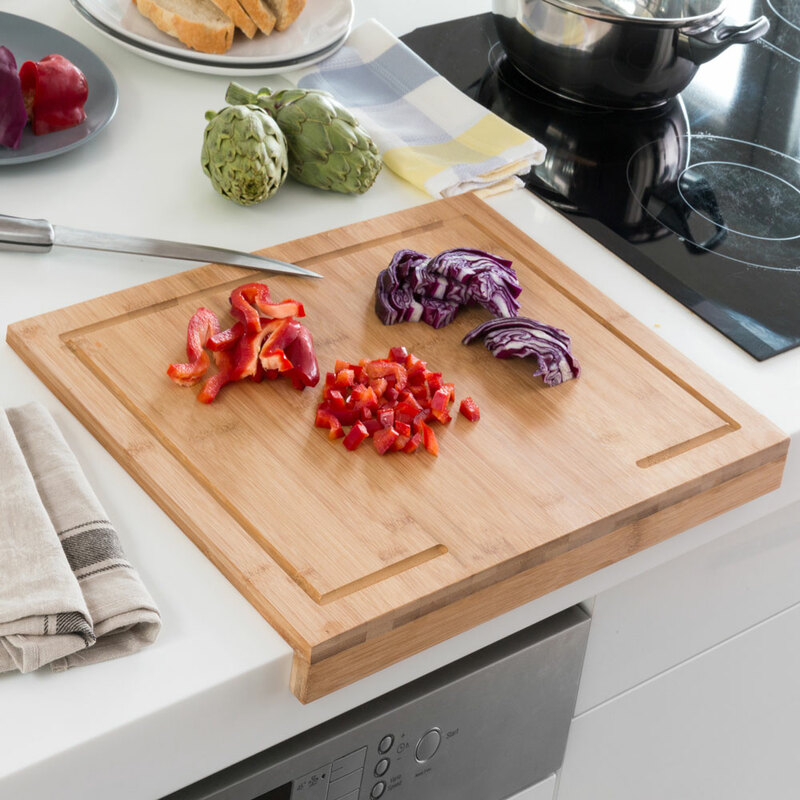 Because of its size, this chopping board is perfect for countertops. 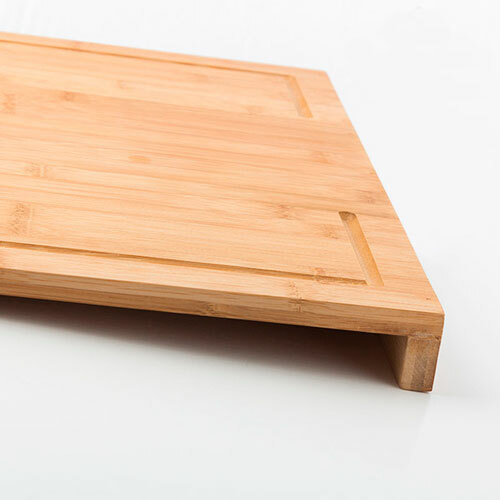 This wooden chopping board is made of bamboo and will give your kitchen a very special zen touch with its exclusive design and its perfect finish.